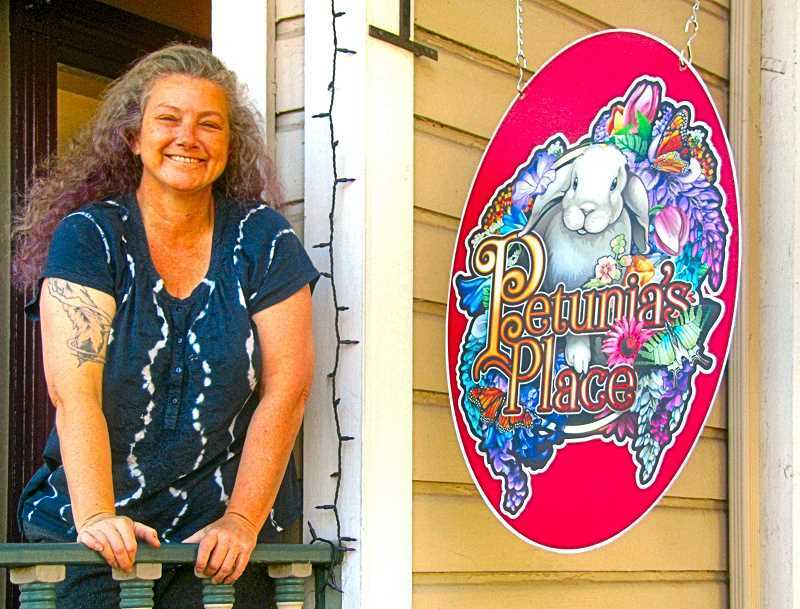 "Petunia's Place" now open in Sellwood: Carolyn Ackerman is an uncommon businessperson – she starts businesses she loves, to primarily benefit animal rescue. (She has also founded a nonprofit rescue, Oregon Paws.) She has been the driving force behind "Let Carolyn Paint It", an Inner Southeast based house painting business; and now she also has opened a retail store called "Petunia's Place", named after "my first bunny", selling housewares, jewelry, and clothing, among other things. It's on Sellwood's "Antique Row" at 8005 S.E. 13th Avenue, two blocks north of Tacoma Street. The grand opening took place on Sunday, October 14, and the business is now open seven days a week, 10 a.m. to 6 p.m.
Dan Beeson introduces "stem cell therapy": Dr. Dan Beeson, DC, who established his Beeson Chiropractic Center 45 years ago, has historically offered chiropractic care which includes, as he explains, "Manual manipulation – chiropractic adjustments – for improving structural integrity of the spine and all extremities, by improving joint function (motion) and the health of the nervous system." Additional therapies he has offered have included nutrition and physiotherapy. But now, he reports that his Center has become a multi-discipline clinic, with the addition of a naturopath and medical doctors on staff. "This," he explains, "has allowed us create a new entity in the clinic known as 'Beeson Regenerative Health' – which offers umbilical-derived Stem Cells to restore joint integrity or systemic health. New Stem Cells can help the body heal tissues that the body's own old Stem Cells cannot any longer heal or repair. With new young Stem Cell therapy, the body can repair damaged cartilage (worn-out joints), damaged nerves (neuropathy), and can improve circulation." The clinic, owned by Beeson, is on S.E. 13th Avenue, just south of Bybee Boulevard. The telephone number is 503/238-7025. Four new OLCC liquor license applications: The Oregon Liquor Control Commission reports four new liquor license applications in Inner Southeast. The first is for the new smaller-size Target Store at 3031 S.E. Powell Boulevard, which recently replaced a bowling alley there, for a "new outlet/off-premises" license. The second is for an existing business changing its name, but not yet revealing what it is (unless it is planning to call itself "Unknown"), at 7909 S.E. 13th Avenue in Sellwood – which is applying for a "change of ownership/change of tradename/limited on-premises" license. Third is a new winery, the name of which is "to be determined", at 1212 S.E. Powell Boulevard, Suite D, applying as a "new outlet/limited on-premises/off-premises/winery". Last is for the Moreland Ale House, formerly the SkyBox, 7981-7995 S.E. Milwaukie Avenue in Sellwood, applying as a "new outlet" for a "full on-premises" license. New building for nonprofits opens on Division Street: A new structure, "Seven Corners Collaborative", has opened at 1949 S.E. Division Street, across the street from the New Seasons Market on Division. It will serve as headquarters for various nonprofit organizations, including Community Vision, FACT Oregon, Community Pathways, Oregon Council on Developmental Disabilities, the Northwest Access Fund, and the Credit Builders Alliance. The building was constructed with features "that enable people experiencing disabilities greater access to services." 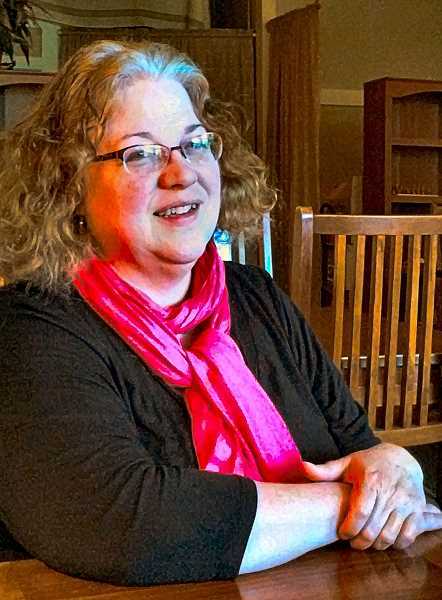 Warner Pacific opens its doors to a nonprofit leaving Marylhurst: Pacific International Academy (PIA) has found a new home in Portland, following the unexpected closure of Marylhurst University south of Lake Oswego, on whose campus it had been for over 20 years. PIA, a nonprofit English language school for international students, launched its fall term on October 1 at Warner Pacific University, "marking an exciting new development for two institutions that have shared values around multiculturalism and service". Warner Pacific College, founded in 1937, recently was renamed Warner Pacific University, and is situated on the north side of S.E. Division Street at 68th Avenue. "Patagonia" clothing visits Green Drop Garage in Reed neighborhood: The people at Green Drop Garage on S.E. 28th Avenue in the Reed neighborhood report that representatives of the Patagonia clothing company "came out to Green Drop Garage for three days in August to feature the shop in a video", while telling their own "work story" as part of a campaign to promote Patagonia's new work wear line. And how did Patagonia find this auto repair shop, you might ask? Well, it's a repair story: "Patagonia's van broke down in Portland during a multiple-state promo tour. They were referred to Green Drop. Farhad's team fixed it, and then he drove it back to San Francisco for them, because the tour had to go on north!" That's how.